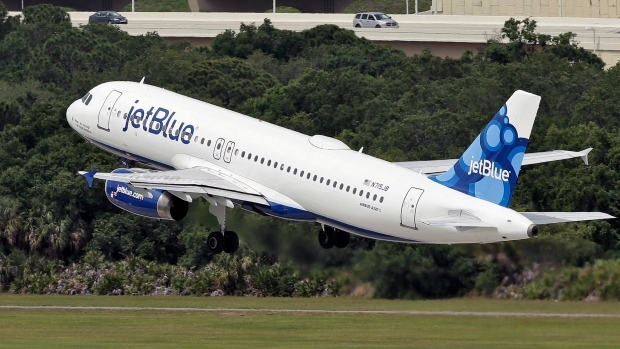 JetBlue Airways Corp. (JBLU.O) is eliminating an unspecified number of jobs in the latest phase of its campaign to cut as much as US$300 million from operating costs by 2020. Most of the job cuts announced to employees this week are at the airline’s New York headquarters. “We need to make these difficult decisions to ensure we are set up for success,” the statement said. The airline is eliminating some open jobs and offering voluntary buyouts to help reduce the number of layoffs, according to Doug McGraw, a spokesman. Customer-facing jobs are not affected. JetBlue first detailed a cost-reduction plan in December 2016 that focused on four key areas and included efficiency measures such as offering more customer self-service tools, improving aircraft maintenance planning and consolidating or renegotiating various contracts. The airline had about 17,530 full-time employees at the end of March.